Every year on Easter Monday, the White House hosts the annual White House Easter Egg Roll. The 2014 Easter Egg Roll will be held on April 21, 2014. More than 30,000 people will join us for activities outside, inside, and on top of the White House. Our Egg Roll theme is “What goes around comes around”. Our Easter Egg Roll Schedule of Events includes the storytime stage, cooking stage, egg dying, yoga garden and music stage set up outside where entertainers, artists, and some special guests perform throughout the day. 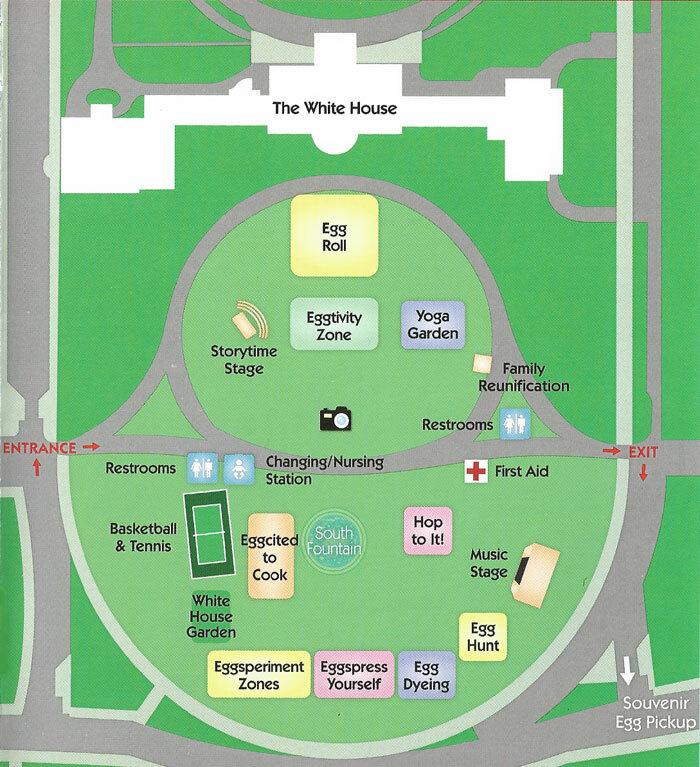 Other fun activities include: egg tossing and tennis on the White House roof; curvy slide down to the South Lawn; ball pit fun in the Oval Office; Easter fun activities throughout the White House; and an assortment of age-appropriate video games available on the Watch Floor of the Situation Room. What’s up with that slide, I wonder. Also on the Easter theme, Eddie Stern’s AYNY webpage is looking a little different these days.